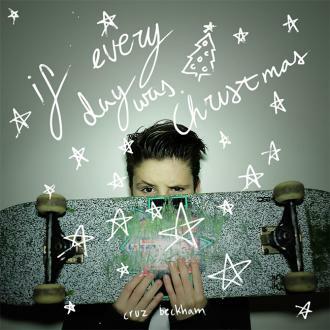 Cruz Beckham was joined by his older brothers Brooklyn and Romeo when he shot the video for his festive single 'If Every Day Was Christmas'. Cruz Beckham spent Thursday (08.12.16) in London shooting his debut music video with his older brothers. The 11-year-old wannabe pop star - the son of David and Victoria Beckham - surprised the world this week when he unexpectedly dropped his first ever single, festive tune 'If Every Day Was Christmas' which has been released to raise money for Global's Make Some Noise, a charity which aims to help disadvantaged youngsters across the UK. The reaction to the Yule Tide song has been mainly positive and now Cruz has got his elder siblings, photographer aspiring photographer Brooklyn, 17, and Burberry model Romeo, 14, to help him make a promo for the track. The trio were shooting the video in the UK capital for most of Thursday and Cruz shared updates of the filming session on his Instagram account - which is run by his management company Scooter Braun Projects. There was also a short video uploaded showing Brooklyn and Romeo ready to start filming a scene when Cruz sneaked up behind them and tipped a jar of candy over their heads. There was no sign of the boys' younger sister Harper, five, in any of the posts or the kids' parents David, 41, and Victoria, 42. Meanwhile, pop star Olly Murs has thrown his support behind Cruz's single. The 'Grow Up' hitmaker likes the song and can see a glittering career ahead for the youngster under the tutelage of his famous parents.